Branded LED tubes from Britesource and Energizer and Sylvania offer great savings on energy bills compared to traditional fluorescent tubes. 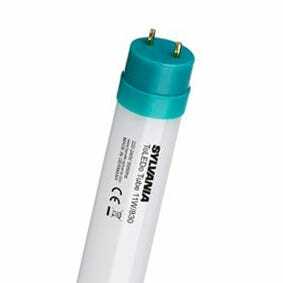 We offer a 3 year warranty with all our LED tubes for your peace of mind when purchasing from us. They can be wired to one end of the fitting only and do not require any fluorescent control gear. Energizer LED tubes however can be used with switch start control gear providing the LED starter provided is used in the fitting.